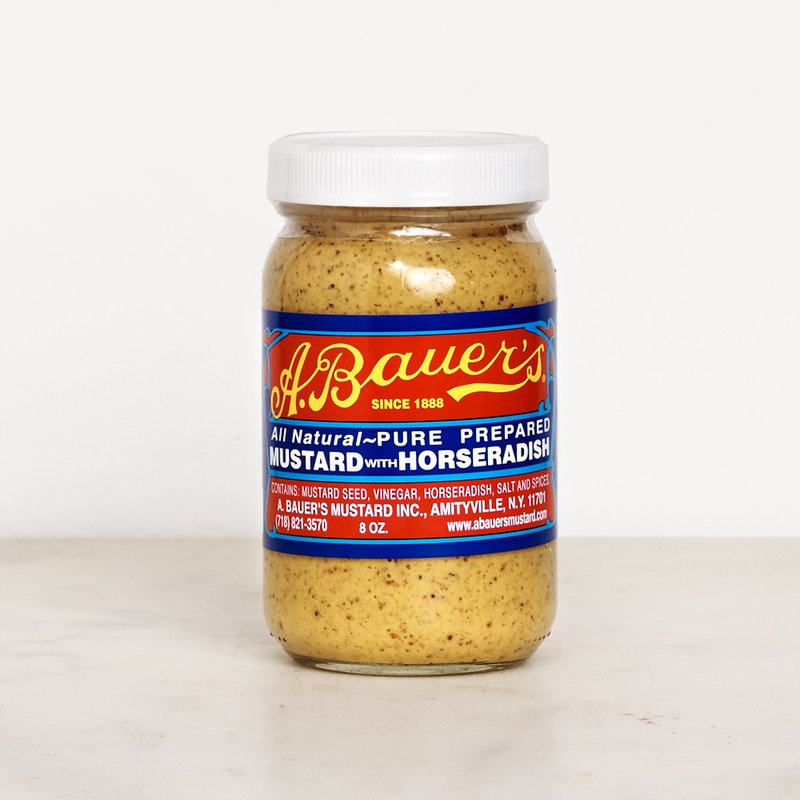 A. Bauer’s has been family owned and operated since 1888, when August Bauer sold hand-crafted mustards from his shop in Queens, New York. August Bauer's sons delivered the spicy brown condiments to neighborhood delis throughout the Great Depression. Popularity soared in 1931 when A. Bauer's Mustard earned the gold medal at the International Fancy Food Exposition in Paris. In the new millennium, A. Bauer's Mustard continues to win high honors including first place at Food Distribution Magazine's Mustard Mania.